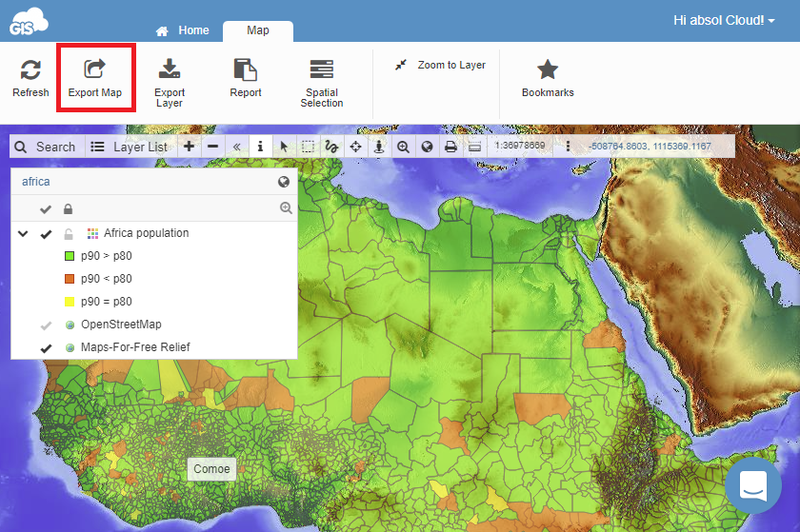 The maps in GIS Cloud can be exported to PNG format. Open the map in Map Editor and navigate to Map tab. Define export area, output settings and additioanl options. Click Get Image to generate the exported map. Show Image – the exported map will open in a new tab in the web browser. Download Image – the exported map will be saved locally on your computer. The following parameters can be changed when exporting a map. 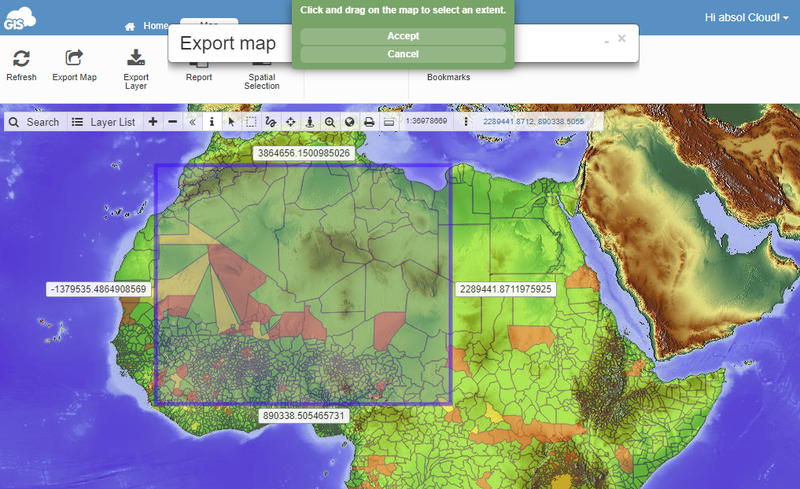 Visible map – the current map view will be exported. Paper – define paper format and orientation. 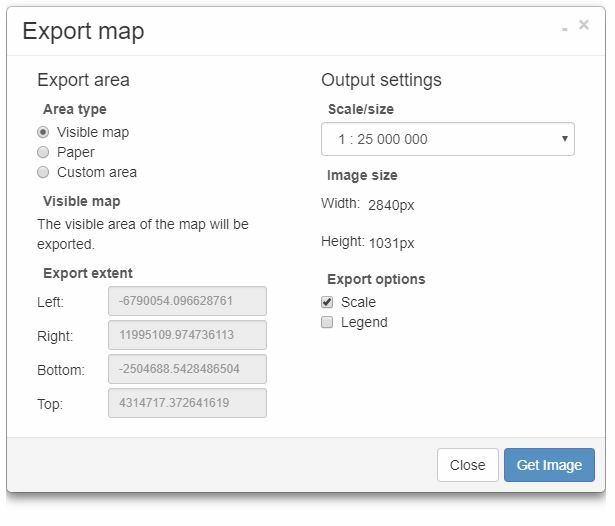 Custom area – define the map view bounds with Select area or manually insert Export extent coordinates. Define the scale/size of the exported map. 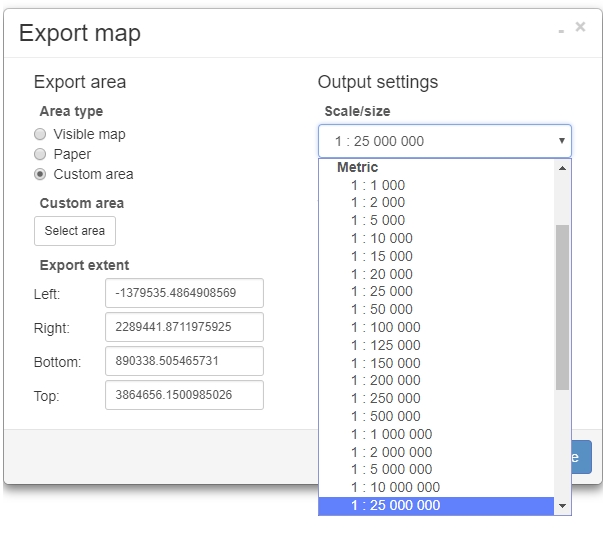 It is possible to set Metric, Imperial and relative Screen size for the map export or a custom scale. In Output options you can include Scale and Legend to be displayed on the map.